To map whole-body MRI magnets, the probe array family MFC9046, with a “classic” Metrolab design, supports a DSV up to 500 mm. This family now also supports smaller probeThe actual sensor that is placed in the magnetic field. The NMR probe contains the NMR sample; the Hall probe... arrays such as, but not limited to, a 14-probe array in a 160 mm boreThe centre of a solenoidal magnet, where the magnetic field is concentrated...., suitable for small animal or extremity MRI magnets. Custom designs can be manufactured upon request. 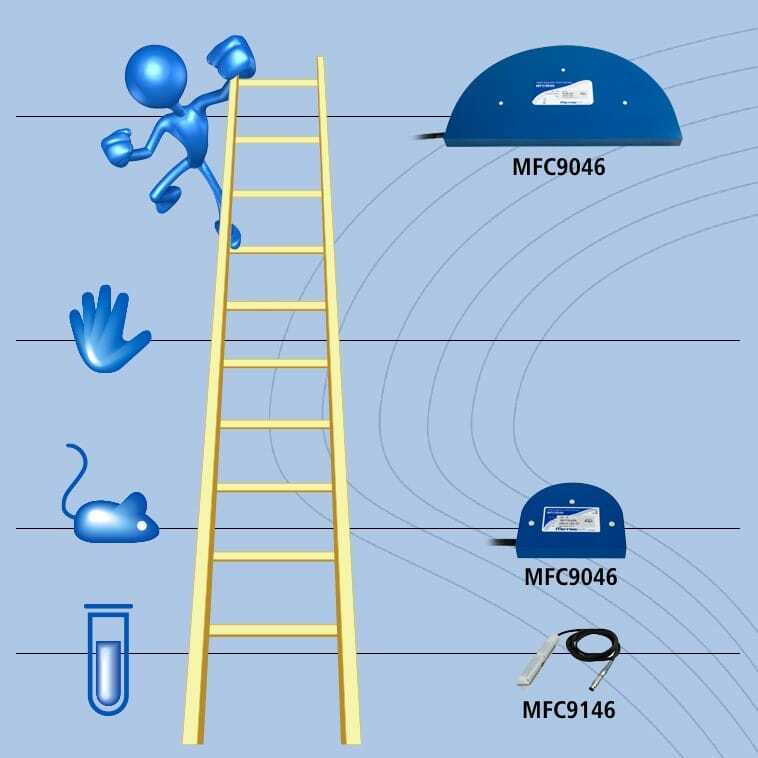 The all-new MFC9146 family of probeThe actual sensor that is placed in the magnetic field. The NMR probe contains the NMR sample; the Hall probe... arrays supports magnet bores as small as 40 mm. They map a cylinder by rotating two lines of probes around its center line. Metrolab’s new generation of Magnetic Field Cameras is based on the very precise pulsed-wave NMRNuclear Magnetic Resonance. A resonance phenomenon seen when you irradiate a sample in a magnetic field with an RF field.... technology, with a best-case resolutionResolution measures the ability of a magnetometer to distinguish ("resolve") two nearly identical field values. Related to precision, but not to... of 10 ppbParts per billion, or 10-9. 1 ppb is 10-7 % - not very much at all!... in fields ranging from 200 mT to greater than 25 T.